They've had their struggles, but LeBron James and the Cavs are still the defending champs. Ed. Note- Our Adam Lowenstein move onto his preview of every first round matchup of the NBA's Eastern Conference Playoffs. If you missed his Western Conference Primer, you can find that here. For the first time since winning their most recent championship (2008), the Celtics are the No. 1 seed in the Eastern Conference. Interestingly, the 2009 postseason was the one in which the No. 2 Celtics and No. 7 Bulls met in their first series in 22 years. In arguably the best playoff series of all-time, the series between Boston and Chicago went seven games, including four overtime contests. Doc Rivers, the Celtics’ big three (sans an injured Kevin Garnett) and Rajon Rondo were the victors of that 2009 series, but times have changed. Rivers is now coaching on the West Coast, Paul Pierce is with Rivers and hoping to double his ring count, Ray Allen and Garnett are retired, while No. 9 is in a red jersey. Rondo will play his first playoff game against Boston on Sunday. The Bulls have historically struggled against the Celtics in the playoffs, but during this past season Fred Hoiberg had success against Brad Stevens, as the Bulls split the season series with the Celtics. When Celtics' opponents shoot 44 percent or worse this season, Boston is 34-3, but two of those three losses came at the hands of the Bulls. Fortunately for Celtics fans, two of the 34 wins were against the Bulls as well. Chicago owns the league’s worst effective field goal percentage, but Hoiberg’s squad had the best offensive rebound rate in the Eastern Conference this season. The Bulls will not make it easy on the Celtics, but Stevens tastes his first series victory. The Eastern Conference’s most prolific offense meets the heavy underdog Pacers, as Nate McMillan makes his return to the postseason as a head coach for the first time since 2011. As an assistant to Frank Vogel, McMillan witnessed Indiana fall in the 2-7 matchup last year. On the bright side, the Pacers forced the Raptors to seven games after a one-year hiatus from the playoffs. Unfortunately for the Pacers, who witnessed Jeff Teague go to the locker room in the fourth quarter of Wednesday’s season finale, they will be facing the juggernaut Cavaliers. 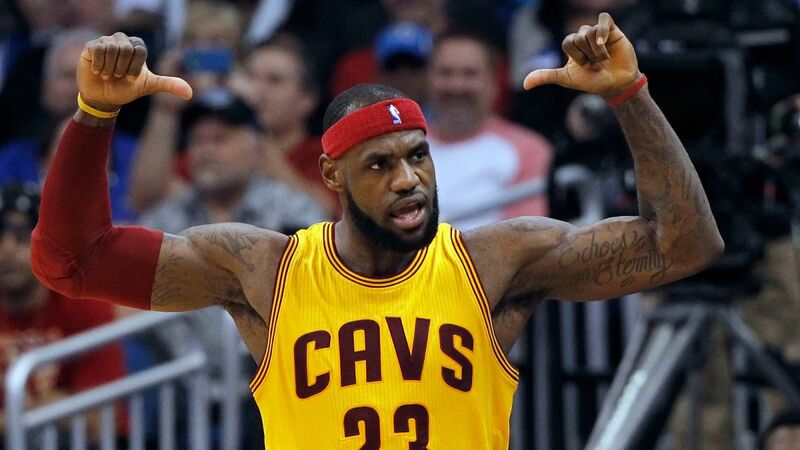 In the three games LeBron James played against Indiana this season, Cleveland went 3-0. If James continues to average about 600 points in yet another postseason, he will soon pass Michael Jordan for the most points in NBA playoff history. He enters the 2017 playoffs just 416 points away from passing His Airness. The Cavaliers just have too many weapons for the Pacers: James, Kyrie Irving, Kevin Love and 3-point percentage leader Kyle Korver will be too much for Indiana. DeMar DeRozan, who missed Wednesday’s victory against the short-handed Cavaliers, was dealing with an illness. He hopes to be 100 percent for Saturday’s contest when the Raptors host the Bucks. For the second consecutive season, DeRozan led the NBA in 2-point field goal attempts. The 27-year-old is one of the highest volume shooters in the league and, unsurprisingly, the Raptors’ assist rate is by far the lowest in their conference. However, Toronto has shared the basketball well in each of the four meetings with Milwaukee, and the Raptors won three of those contests. Experience in the playoffs could be an interesting phenomenon in this series, as Dwane Casey is making his fourth consecutive playoff appearance with Toronto while Jason Kidd, who just had his best season with the Bucks, is looking to lead Milwaukee to its first playoff series victory since 2001. I am calling this upset, and I might absolutely be wrong, but this Raptors dark-horse bandwagon seems to be getting too much steam. The athleticism of the Bucks is real, and Kidd can coach. There is also a guard in the 4-5 matchup who missed Wednesday’s game, and it was not primarily due to rest. John Wall, who led the league in steals, is dealing with a quad injury, as the Wizards look to continue their 2016-17 success against the Hawks. After these teams went 36 years without facing each other in the playoffs, they faced off in the 2015 conference semifinals, which was the last year Wizards made the postseason. Randy Wittman led Washington to back-to-back Eastern Conference semifinals, but Scott Brooks has raised the Wizards to a new level. The former Thunder head coach led the Wizards to their sixth-best regular season in franchise history and missed Washington’s first 50-win season since 1978-79 by just one victory. Heading into this postseason, Washington has always made it out of the first round after winning 45 games in the regular season. In the always favorite 4-5 NBATV series that seemingly is never without the Hawks, I see the Wizards continuing the trend. The Hawks might be the best defense in their conference, but they own by far the worst offense in the playoffs.